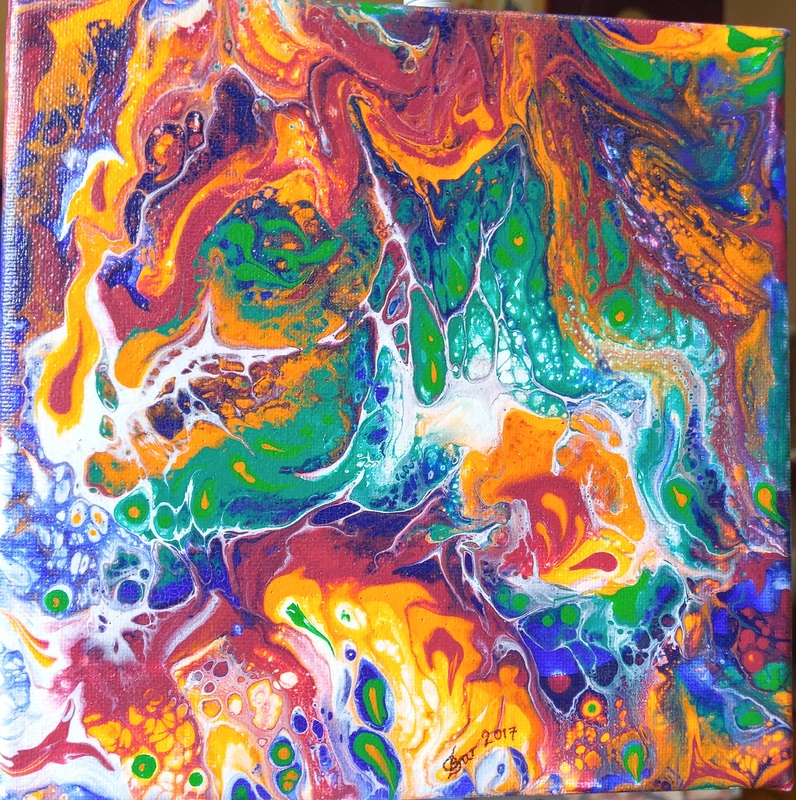 Poured acrylic, with flouorescent orange which doesn’t show on sceen. I was just aiming for high contrast, but the wee beasties, screaming faces and mad dripping colours seem to fit halloween well. Some of the shapes are done by drawing a knitting-needle throught the wet surface.